Israel has a Mediterranean coastline of 187 kilometres from Rosh HaNikra, the border with Lebanon in the north to Gaza in the south, with some very nice beaches. Israeli photographer, David Rubinger, says that when you want to take a photo the best camera is the one you have with you. 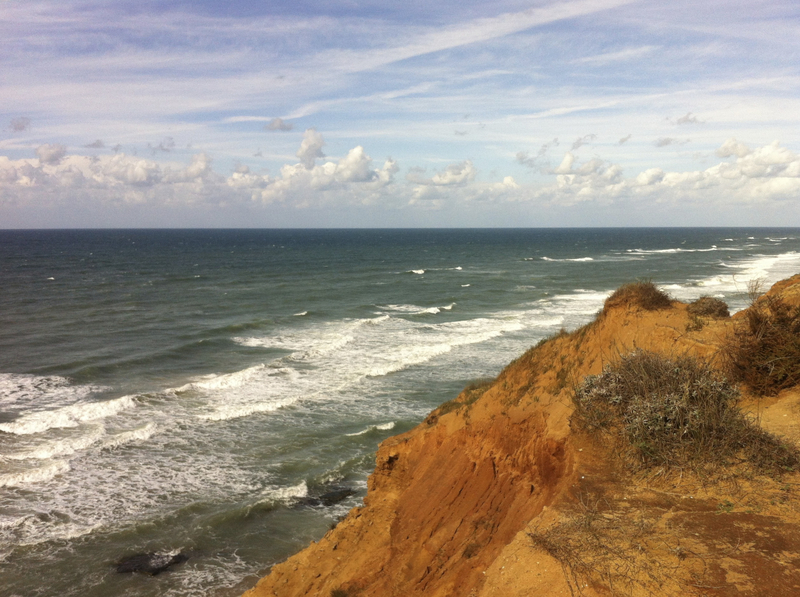 This photo is from the cliffs behind Wingate just south of Netanya, taken with my iPhone. This entry was posted in Nature, Photography and tagged beach, iPhone photo, Mediterranean coast, Netanya, Photography on April 27, 2013 by Shmuel Browns.